SILVER SPRING, MD--(Marketwired - Jun 4, 2013) - The Association of Public Health Laboratories (APHL) is pleased to honor New Jersey Governor Christopher Christie with its Champion of the Public Health Laboratory Award. Governor Christie has demonstrated a strong commitment to the health of New Jersey's families by signing several laws expanding newborn screening and supporting a new, state of the art public health lab which has been recognized nationally with the 2012 Gold Standard Award for Public Health Laboratory Excellence. Under the leadership of Governor Christie, New Jersey has made significant advancements in newborn screening. New Jersey became the first state in the nation to mandate that all hospitals perform a pulse oximetry test on every newborn to check for potentially life-threatening congenital heart defects. In addition, five rare metabolic disorders called lysosomal storage disorders were added bringing the total number of routine tests a baby receives at birth to 60. In light of these significant additions, Governor Christie increased funding for newborn screening by $1.6 million. In addition, New Jersey recently completed construction of a new state-of-the-art Public Health and Environmental Laboratory (PHEL), one of the most technologically advanced laboratories in the nation. The new lab has resulted in a significant increase in capability to respond to public health emergencies. 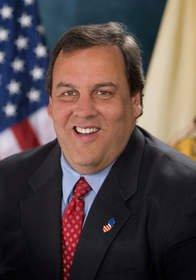 "Governor Christie is truly dedicated to improving the public's health," said Scott Becker, executive director of APHL. "New Jersey is a leader in newborn screening, emergency preparedness and response, and many other facets of public health. We are honored to share this award with Governor Christie." Announced during an awards ceremony at the 2013 APHL Annual Meeting & Seventh Government Environmental Laboratory Conference, the Champion of the Public Health Laboratory Award recognizes federal, state and local elected officials and executive branch employees who have recognized the importance of state and local governmental laboratories that perform testing of public health significance either through support of legislation or federal agency decisions. The Association of Public Health Laboratories is a national non-profit located in Silver Spring, MD, that is dedicated to working with members to strengthen governmental laboratories with a public health mandate. By promoting effective programs and public policy, APHL strives to provide public health laboratories with the resources and infrastructure needed to protect the health of US residents and to prevent and control disease globally.